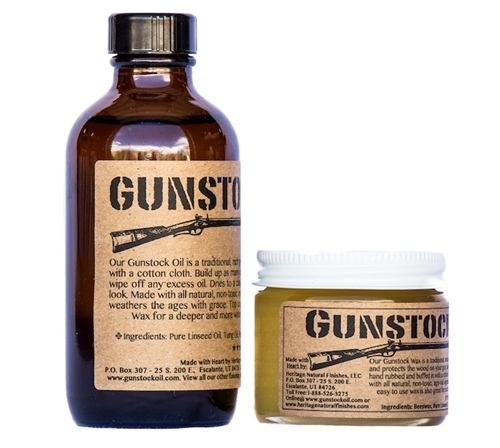 We make the best penetrating oil and wax finishes for your wooden gun stocks. If you are looking for that classic, antique, rich hand-rubbed look on your rifle, than these are the finishes for you! We are dedicated to the development, sales, and distribution of all-natural, non-toxic penetrating oil finishes for all types of woodwork. We are a small company with a genuine concern for our customers as well as the environment. We make an artisan product that is all natural, non toxic, and delivers exceptional results. No other wood finishes in the market today are doing that. Only delivers exceptional results has invested the time, money, and effort into the research and development of high quality penetrating oil finishes that are 100% natural and safe for the environment. We make top-notch products and pride ourselves in superior personalized service. So every time you call us, you're sure to be able to talk to a real person who's ready to help you with all your wood finishes needs. All our products are made by hand in small batches to ensure the outstanding quality our customers have come to love and expect from us over the years.